by Robert Gillis, who really has too much time on his hands. 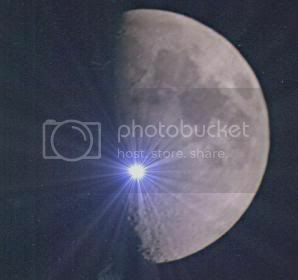 Lunar officials declared war on Earth early Friday morning after NASA launched a preemptive strike on Cabeus Crater, home to thousands of Moonies, Moonites, and Moon-Units. CNN had reported that NASA engineers crashed a rocket and a satellite into the moon's surface on Friday morning in a $79 million mission, to supposedly "kick up enough dust to find whether there is any water in the moon's soil." Industry is spending millions in propaganda to combat the FRAC Act that will allow citizens to know what chemicals are used near their drinking water and allow hydraulic fracturing to be regulated under the Safe Drinking Water Act. States Challenge Attempted Federal Power Grab in Hydraulic Fracturing Issue. The information in the IOGCC press release is completely false! They claim that "states do a superb job of protecting human health and the environment through sound regulation." Natural Gas Found in Private Water Wells: How the oil and gas industry is exactly like the tobacco industry. Gas has been found in at least three water wells in Pennsylvania and state regulators are trying to determine if gas drilling in the Marcellus Shale is to blame. 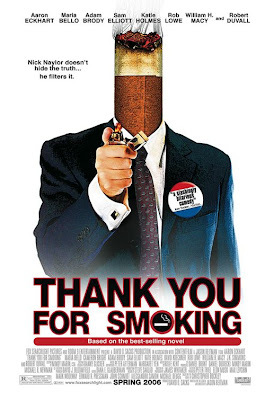 Did you ever see Thank You for Smoking? Nick Naylor (Aaron Eckhart) is the Vice President of and the chief spokesman for the Academy of Tobacco Studies, a tobacco lobby whose stated purpose is to research the links between smoking cigarettes and lung cancer. Unsurprisingly, the group, funded by cigarette companies, does not find any link between the two. Read more about Natural Gas Found in Private Water Wells: How the oil and gas industry is exactly like the tobacco industry. Cheney Helped Halliburton Hide Secrets About Dangerous Chemicals in YOUR Drinking Water. This is the most important blog post I've ever written. It's cross posted at Daily Kos. Please recommend over there. H.R. 7231 to Close the Hydraulic Fracturing Loophole That Is Fracing Up America's Water. Hydraulic fracturing (fracing) is a drilling technique that was developed by Halliburton. Millions of gallons of fresh water, along with sand, and cancer-causing and toxic chemicals are injected under high pressure miles down the drilling hole to fracture the limestone shale and release the oil and gas trapped within. Read more about Cheney Helped Halliburton Hide Secrets About Dangerous Chemicals in YOUR Drinking Water. Over 300 sunny Colorado days per year and a constant temperature of the Earth at five to seven feet below ground level are the power sources of Geos, the first fossil fuel free community in the United States. Homes that incorporate passive solar, super insulated building shells, high thermal mass and mobile window insulation provide for optimal solar energy gain and retention. "I don't swim in your toilet, so don't pee in my..."
On January 12, 2008, I posted a piece titled Smarter Parts: Improving Efficient Energy Use and Demand? that touched upon an experimental program sponsored out of the Pacific Northwest National Laboratory (PNNL). The essence of the program was to create a home energy system that could respond to changing prices and peak demand loads by dialing back energy consumption. The system would be accessible via the internet so homeowners could make changes in absentia. An update to the story included another article indicating that in 2009, California regulators may have direct access to homeowner thermostats via radio-controlled devices in new or substantially modified houses and buildings to manage electricity shortages -- a plan cooked up by the California Energy Commission (CEC). I opened a discussion thread for the piece in a few places, including several Delphi forums. In one thread,1 some energy and water efficiency ideas came up. One in particular spawned the short poll that you're about to see. Please read on, and take the poll; results will be published at the end of next week and included in another piece that I will cross-post in all areas where this appears. Read more about "I don't swim in your toilet, so don't pee in my..."
I will kill you for water. The Nobel Prize-winning Intergovernmental Panel on Climate Change's fourth international assessment released earlier this year predicted that "drought-affected areas will likely increase"
Read more about I will kill you for water.